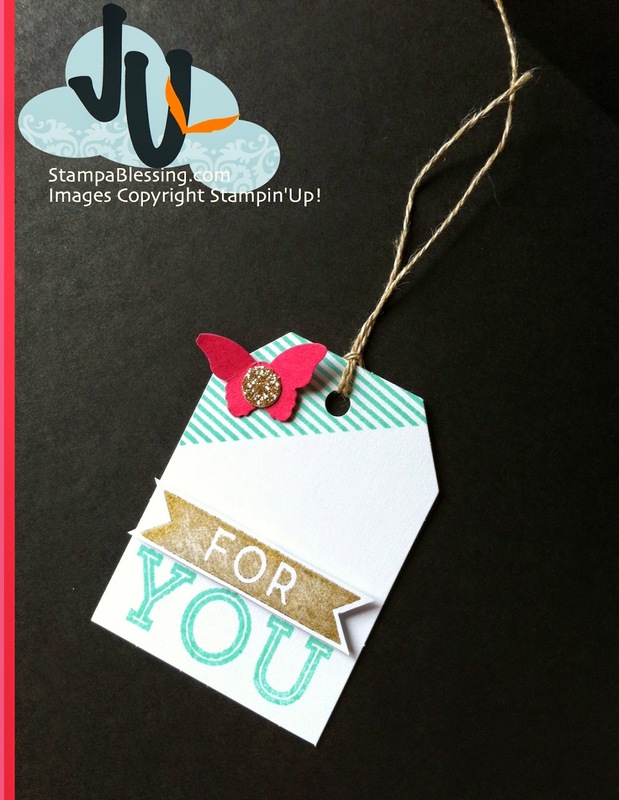 My Pumpkin Challenge is bringing a ton of inspiration this month with tags. 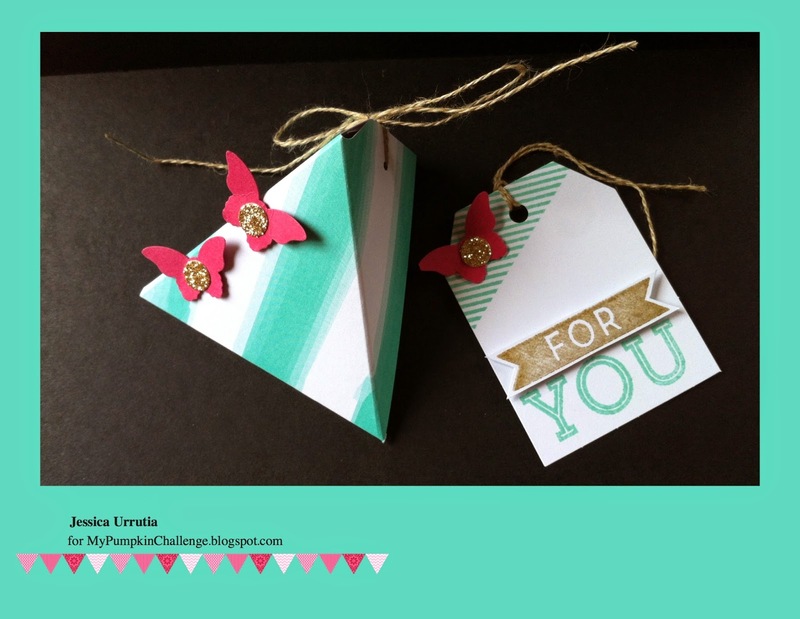 What about cute treat boxes with coordinating cute tags? I took pictures on how to make this cute box, so I will be posting here soon! The tag was easily made with Coastal Cabana Ink and Metallic Gold Ink Pad. 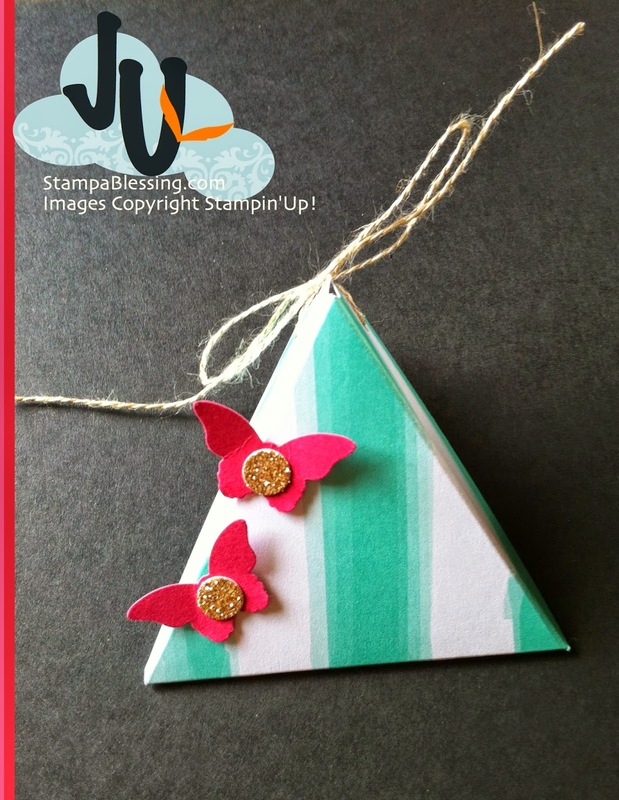 I stamp one of the background stamps from the Party Pennants kit only on the corner of the tag and added a Bitty Butterfly Punched in Rose Red. Gotta love this color combination. I love using those Glittered Greetings gold dots. So easy to add a punch of fancy to any project. What are your thoughts? Like these! Tune to My Pumpkin Challenge today to see what my sweet friends ad Stampin'Up! Independent Demonstrator Heather, Boni and Cathy made. You will love love these ladies talent. Be inspired!